The following was written by the Rev. Francis Capitanio, Assistant to the Bishop of the ADNE, in honor of Bishop Bill and Sally Murdoch on the eve of their retirement. This is a time of celebration for us: the celebration of a new beginning for Anglicans in New England and, even more than that, in North America and the world. 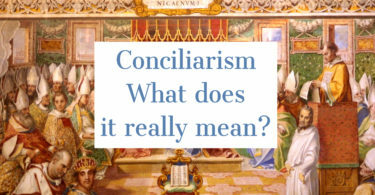 This is a time of looking back, of reflection mixed with thanksgiving, an experience shared by dioceses throughout the world and throughout history in every catholic Communion: a new chapter. In every diocese, each bishop gets to partner with God in writing a new chapter in the diocesan book of life, with each section an essential part of the church’s story in any given region. As chapter turns to chapter, and the people of God in any one place and time move towards the finale, they often wonder in times of transition just how it will end and what each new turn of the page will bring, until the book draws to a close. Some books, after all, end in tragedy; some in comedy. Some books must be burned and written again. Even some libraries, full of these books, must sometimes be burned to the ground and rebuilt. So it is with a mixture of joy, thanksgiving, and melancholy that I stand at the end of Bill Murdoch’s work as our bishop to look back and see the pages of his hard work, of a disciplined and relentless penmanship. He is a man who walked into what some would say were the smoldering ruins of a library, picked up the scattered pieces of an old book and began to rewrite its pages. I have never met a more appropriate author for writing the foundational chapter in a diocese’s life. The next bishop will need the grace to keep the story moving forward, to build on the principal plot points and characters created by the very man we now honor. When we look back at the stories written by others, we can be led to believe that the ups and downs of each storyline “just happened,” that the work of growing the Kingdom of God, for example, is as easy as flipping over to the next page or the next chapter. Pastors write books on how to grow a church or on the narrative of this or that revival. Historians introduce us to the lives of the saints, men and women who gave themselves to build Christ’s Church, and they write them with the flare of a pen or the stroke of a key, reducing the complex life of a saint to a few sentences. But now, as we look back to witness the story written for us and about us, let us also witness to the diligent work of its author, who partnered with God and with his fellow editors to see it through. And as we remember, let us also remain ever grateful that the Bishop has carried us deep within the wounds of Christ he carries in himself, recognizing that a Bishop is and was and always will be just as human as the layman, with the layman’s cares but added to the Bishop’s burden. A Bishop feels pain, has dreams, bears tragedy and failure, suffers loneliness, confusion, and hope deferred – needs to cry as well as laugh, rejoices and mourns, and many times with no one else to whom he can bear his soul. He, too, is often misunderstood. And along with all this, he builds the Church. My last four years as Bishop Bill’s assistant revealed that stark reality far more concretely than any book of Christian history ever could. Those years gave me the often difficult vision of all it means for one man to spiritually take on the weight of God’s people. Bishop Bill has been an icon of fatherhood to me, even as he fought, often behind closed doors, to wrestle with the fatherhood to which he was ordained for the sake of the whole Church. I have had the honor of receiving the benefits of that fatherhood directly, of knowing what it means to have someone in authority care for you well, grow you up, teach you a thing or two about life, and life in the Church. He fought harder than anyone I know for the work that has been done here in New England, writing a book with pages now to be given over to a new author, but only after leaving the new author a legacy of hard-fought story and the freedom to keep on writing. May our hearts grow in gratitude for the work that he, together with Sally, have put into making this project, this first chapter, come together: the work that many of us never saw and will never truly understand. 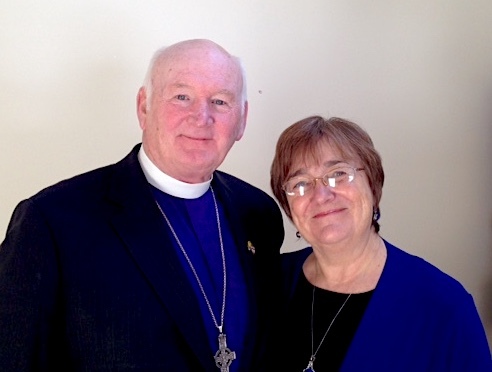 Bishop Bill and Sally, thank you for partnering with God in beginning to write this story for us, and thank you for giving us the honor of being reflected in its pages.